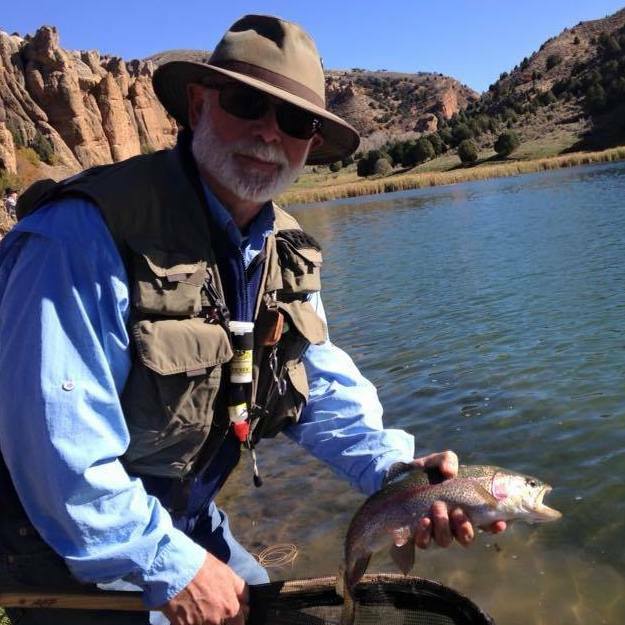 Wes has been associated with Trout Unlimited for over 20-years. Thad Robinson and Wes started the Weber Basin Anglers, Chapter 681, of Trout Unlimited in the early 1990’s. He served as the chapter’s president for five years, and then served as Chair for the Utah Council of Trout Unlimited for six-years. While Chair of the Utah Council he negotiated the acquisition of nearly a mile of the Weber River from the Jack Parson family. This was then turned over to the Division of Wildlife Resources to be managed for stream restoration and angler access. During this period, he had the opportunity to guide Governor Mike Leavitt on a three day fishing trip. He always said you can teach the governor a lot about fishing and conservation when you have him captive for three days. As a result of those discussions, and a “white paper” he prepared for him, Governor Leavitt established the Blue Ribbon Fishery Advisory Council. Wes served as chairman for the BRFAC for its first six years. 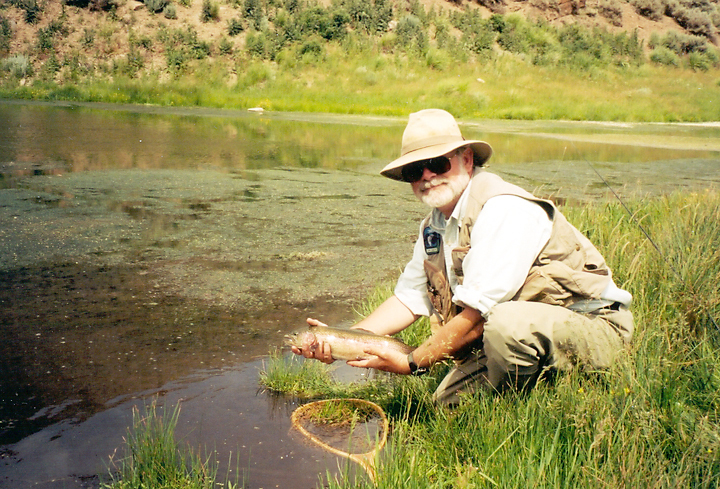 While serving as Chair to both the Utah Council and the BRFAC, he was approached by Charles Gauvin, then CEO of Trout Unlimited, to serve as one of the first Grass-Roots Trustees to Trout Unlimited serving from 2002-2004. One of his goals during his time as a trustee was to get the Weber River identified as a “home rivers” for restoration. He was approached by Byron Gunderson of Fish Tech Outfitters to establish an organization to bring together the angling groups of Utah as a common voice. Byron and Wes established the Utah Anglers Coalition, which is the strongest voice the anglers of Utah have with DWR and the legislature. His involvement in TU has resulted in better coordination between TU and DWR; it has made the Weber River one of the top 10 national priorities for restoration within TU. It has put TU’s presence in Utah on the map. TU is more than a fishing organization. Being more involved in conservation, restoration, and protection of our cold water species and their habitats makes TU one of the greatest conservation organizations to be a member. Wes also served on the DWR “Walk-In-Access” advisory committee. While on the committee he helped to write the rule and guidelines for the WIA program. “I began fly tying when I was about 13-years old and sold many of my patterns to local sporting goods stores in southern California where I grew up. After 22+ years as a weatherman in the USAF my family and I settled in Utah and my fly tying and fly fishing really took off. I have occupied positions with Utah Wildlife Resources and Utah State Parks, plus many years as a natural resource consultant to USFS, BLM, AEC, and Homeland Security. I started our local TU chapter, Weber Basin Anglers, became Chair of the Utah Council of TU, eventually served on the TU Board of Directors as one of the first Grassroots Trustees members. I also laid the ground work for the Blue-Ribbon Fishery Advisory Council and the Utah Anglers Coalition. I served as chairman of the BRFAC for over six years and chaired the UAC for quite a few years. On occasion I have guided a few anglers, including then Governor Leavitt and some congressional and state staff representatives. I have taught fly tying in the Ogden area, written articles on fly fishing and fly tying for the Ogden Standard-Examiner. I have developed a few fly patterns that have been very successful at catching trout, trees and brush. These include my Yellow Elk-hair Caddis, my water boatman, and an adult damsel that consistently works. My favorite waters are the Weber River and the streams and lakes on the north slope of the Uinta Mountains.